This post contains spoilers for a 43-year-old movie …and I can’t believe I even have to type that, so this is your warning from here on out that all of these challenge posts may contain spoilers for old movies. I watched Don’t Look Now with my husband, and since I’ve seen it before I pitched it to him as a classic film that’s still incredibly effective and frightening. And then the film went on to both prove and disprove my theory. To be fair, I haven’t seen this movie since I was pretty young, so I only had a hazy memory of the whole thing, punctuated by the death-by-dwarf scene. I maintain that the climactic scene is chilling to the bone, but my husband had more of a “what the hell?” reaction to it, akin to my reaction the first time I saw Sleepaway Camp as a teenager. I was disturbed in more of an uncanny valley way than anything else – why was she making that weird noise? And why did they attach the head of a teenager onto the body of what was clearly an adult man? It was creepy, but funny. But creepy. 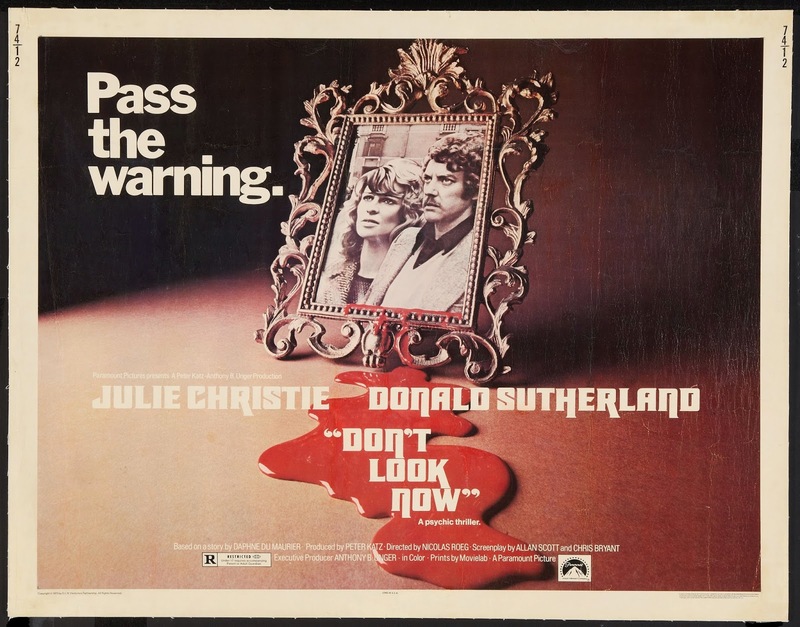 Here are those two scenes for reference, though if you haven't seen Don't Look Now I do recommend watching the whole thing. I still think it's one of the more effective and accessible classics I've seen. This got me thinking about the nature of classic horror movies and why some people love them while other people can’t seem to connect with them at all. Spoiler alert: I don’t have a clear answer (I warned you these challenge posts wouldn’t be thesis-worthy, right?). I’m not sure if it’s the nostalgia of remembering something the way you first saw it – as in, that dwarf terrified me as a child, so I still feel chills when I see her now. Or maybe it’s just the ability to employ a different mindset and recalibrate your expectations while watching. I think that’s something a lot of people today either can’t or don’t want to do, which is fair enough – after all, I refuse to ever watch Citizen Kane again, no matter how many film classes tell me it was groundbreaking at one time. But I think watching classic horror requires the viewer to approach things in a different way than contemporary horror. The rewards are necessarily different, but not necessarily any less gratifying. So what say you? Are there any classic horror films that still give you the major creeps? Tell me in the comments or on Twitter! Do it! As always, you can follow my 100 Best Horror Movies Ever Challenge with this tag on the blog, or the Twitter hashtag #100BestHorrorMoviesEver (I really regret making that hashtag so long). Next time I hope to be talking about Possession – the 1981 version with Isabelle Adjani to be specific, because man there are a lot of "possession" movies.